The ITFA are a member led organization at the heart of the international forfaiting community. With a mission of engaging with, and setting standards, ITFA work with regulators, discussing topics around Basel, capital requirements for banks, the use of credit risk mitigation, and more generally, speaking to the practitioners involved with setting the international agenda and rules for forfaiting, receivables and trade. ITFA have claimed many successes under their belt in the last 18 months, including making significant headway on providing opinion on CRR Article 194 of the BAFT MRPA, as well opinion on the accounting treatment of trade finance as bank debt under IFRS9. 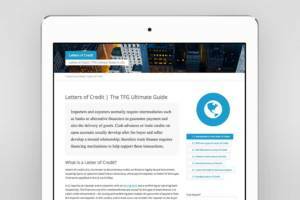 What are the trends within trade and supply finance? The below diagram broadly outlines the trade finance market. Supply chain and trade cycles are often complex; at the very beginning, the supply chain source of suppliers, and at the very end, reconciliation of payment. The physical supply chain lies at the heart of a trade cycle, that is, the physical flow of goods, services or commodities, with the financial supply chain underpinning this. Within the cycle, there are a number of financial products and services that help connect and finance the supply chain, at numerous stages. According to the ICC’s latest trade survey back in 2017, which estimates value of trade finance transactions in 2017, splitting out traditional trade finance (Letters of Credit) and Supply Chain Finance, traditional trade finance still dominates the market. Traditional trade primarily comprises Bank Guarantees and Letters of Credit, which still mean big business for international trade, but supply chain finance is growing, representing $813 bn of trade in 2017. Trade finance has seen a huge shift from traditional methods of financing to more flexible forms of supply chain finance over the last decade. As corporates move towards optimising their supply chains, releasing tied-up capital from their balance sheet, and looking at off-balance sheet transactions, the provision and increase of supply chain financing has been apparent in more recent trade data. Fast forwarding a couple of years, the ICC surveyed corporates and banks on their expectations for the market size, as well as trends in trade and supply chain finance space. Flat / increased growth was largely the expectation here. In the last in the last couple of years there has been much discussion going on between the United States and China, as well as their trade agreements with Europe, Canada, and Mexico. For businesses, in order to circumvent politics, we’ve seen supply chains moving around and becoming more flexible, in order to overcome some of the issues around tariffs and trade barriers. Fintech is certainly an enabler of more flexible supply chains, a move away from traditional and LC based trade finance towards supply chain finance, and is helping banks in both the bank to corporate space as well as the bank or bank space. In a presentation on the ‘automating trade origination and distribution’, André Casterman, Chair of the ITFA Fintech Committee gave an overview on how technology is both changing and unmet financing needs of businesses, and helping to plug the trade finance gap. around on-demand and real-time experiences. Market developments in fintech are driving most technology innovations, both with regards to addressing the global trade financing need (primary and secondary markets), through KYC registries, AML filtering and alternative financiers, as well as improving the user experience through big data, automation and APIs. Moving forwards, Transaction Data, Trading Platforms and Machine Learning are the key ingredients for effective innovation in trade finance whilst avoiding any change to the existing communications infrastructures. Infrastructure innovations are being rolled out with the promise of, (1) upgrading existing messaging infrastructures with DLT-based communications, and, (2) continuing to digitize trade flows thanks to digital bearer documents; and we see potential in the use of tokens and crypto currencies are also expected to play a major role in trade settlement. The ITFA put together the ITFA Fintech Ecosystem Map, which provides a helicopter view of the fintech landscape. It shows where each fintech sits within the trade finance space and how it either enhances existing processes by increasing efficiency or modernizing processes to the benefit of trade originators, their clients and investors. Within the tradetech ecosystem, it’s important to recognise each players’ unique positioning, and whether they are adding capabilities to existing technology infrastructure, or trying to execute trade in new ways. Fintechs often start small and extremely agile, in order to adapt quickly to market trends and help their clients respond to regulatory changes or the treatment of receivables on their balance sheet. 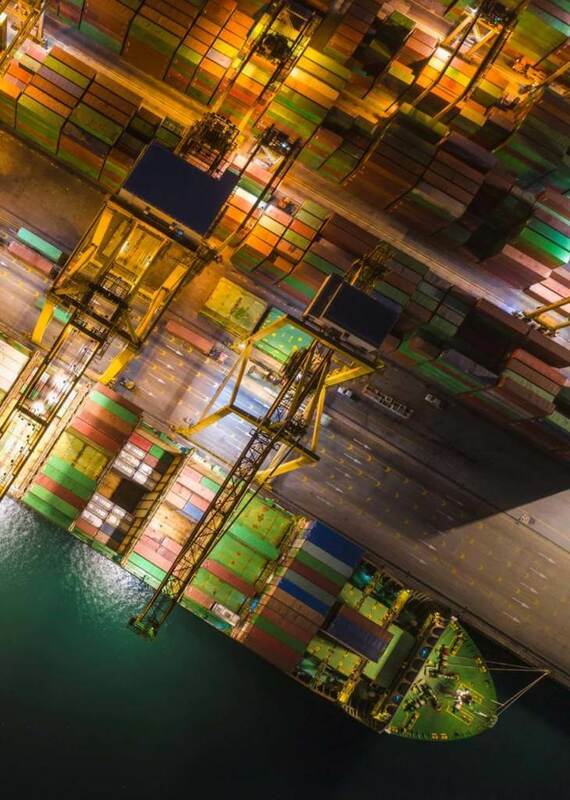 Technology within the trade origination and asset distribution space is helping to automate trade finance and also establishig trade finance – particularly in the receivables space – as an investable asset class, so as to address the current Trade Finance gap. Fintechs are helping banks and corporates deal with data management, implement machine learning to help decision making, automate platform and bidding processes, show blockchain capabilities, and add value to existing practices and internal systems. In addition to the ITFA working with TradeIX on the Marco Polo blockchain initiative, ITFA is involved with the Trade Finance Distribution Initiative (TFD Initiative), helping trade originators distribute trade assets to banks and institutional investors as well as delivering consensus built best practices and standards for the wider distribution of trade finance assets. Much of this is about addressing the need for banks to distribute their trade assets to non-bank investors, namely pension backed funds and institutional financiers.By bringing in more liquidity to the trade finance space beyond the banks, the initiative helps some of the largest originators distribute Supply Chain Finance in the secondary market space. To find out more about the Trade Finance Distribution initiative, read our article here. Sean Edwards is an English solicitor, formerly with Clifford Chance, and is now Head of Legal and Special Adviser to the Global Trade Finance Department at Sumitomo Mitsui Banking Corporation Europe Limited. He takes a particular interest in trade finance matters and as Chairman of the Market Practice Committee has been closely and heavily involved in the drafting of the ITFA Guidelines and Introduction to the Primary Market. He is the author of the User’s Guide to the ITFA Guidelines and has written articles on forfaiting for all the major trade finance magazines.